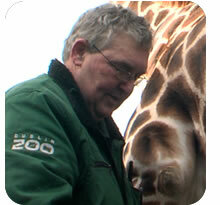 My father worked in Dublin Zoo for 44 years and I always wanted to follow in his footsteps. The birth of a giraffe. That everyday is different, everyday has a new challenge. It never gets boring. The death of an animal.